Microanalysis filter holders are used for filtering liquid samples under vacuum for microbiological or particulate analyses. 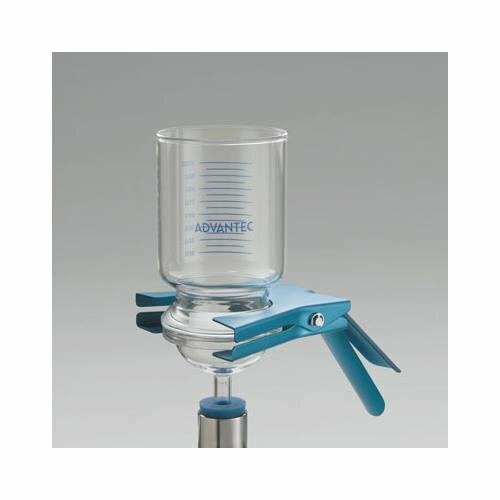 47 mm diameter holders are used for analyzing (<500 ml) of liquid whereas 90mm holders are used for filtering larger volumes or samples that are viscous or have heavy particle or bioburden that would tend to clog a 47mm diameter filter. 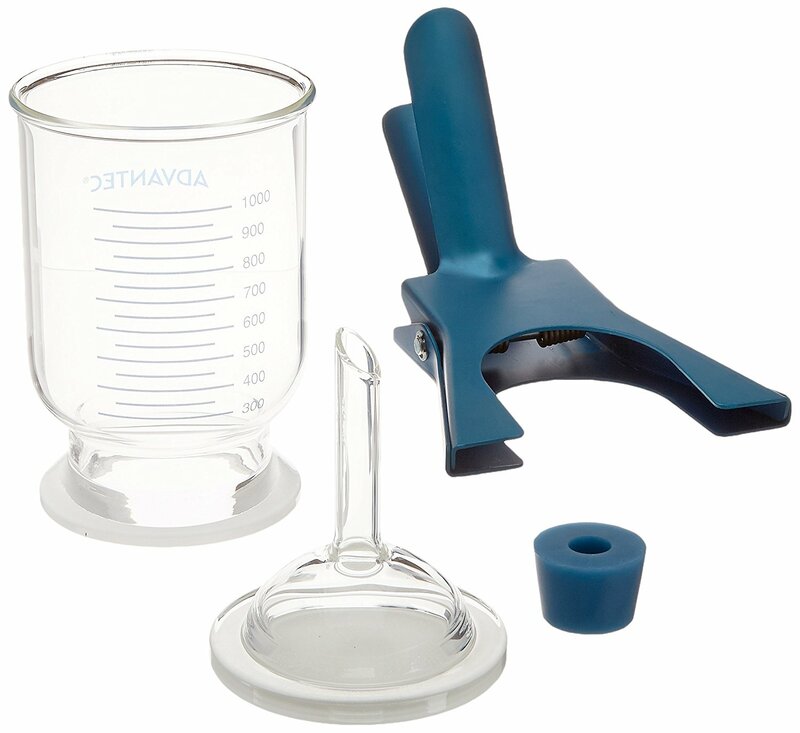 Three basic types of holders (stainless steel, Teflon®, and sintered glass) are available in two diameters (47 and 90mm). Microanalysis filter holders with stainless steel screens are recommended when filtering viscous or proteinaceous solutions to maximize the flow rate. 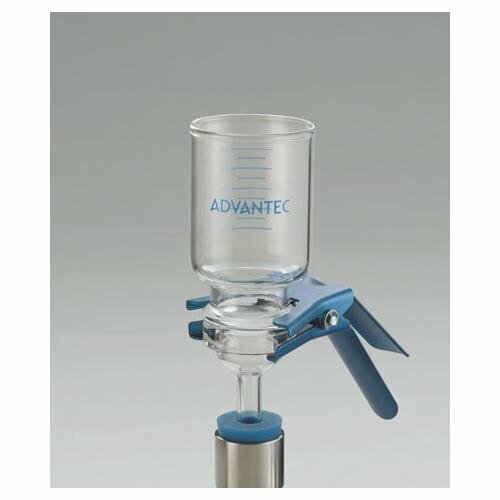 In addition, this filter is used when the purpose of filtration is to produce an ultraclean filtrate as the screen will not shed particles into the filtrate. The microanalysis filter holder with Teflon® gasket eliminates the problem of the membrane adhering to the ground glass surface post autoclaving. Microanalysis holders with sintered supports are used for general filtration (this is most common model sold).